・From Fukuoka (Fukuoka interchange on the Kyushu Expressway), we can be reached by car in about an hour and a half. Leave the Higashi Kyushu Expressway at the Sasebo-Mikawachi interchange, then drive for about 10 minutes in the Sasebo direction. ・From Nagasaki Airport, the journey takes about 1 hour and 10 minutes by the bus bound for Sasebo. Get off the bus at Haiki Tagonoura. From there, our kiln can be reached by taxi in about 10 minutes. ・From Fukuoka Airport, the journey takes about 2 hours by the bus bound for Sasebo. Get off the bus at Oroshi Hon-machi Iriguchi. From there, our kiln can be reached by taxi in about 20 minutes. 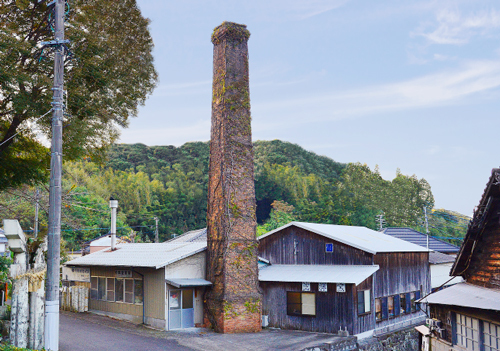 Our kiln is located about half an hour's drive away from Sasebo city centre. We are also about 20 minutes' drive away from Huis Ten Bosch. ・From JR Hakata Station, the journey takes about an hour and a half on the Limited Express Midori service (please note that this service does not stop at Mikawachi Station). Get off the train at Haiki Station. From there, our kiln can be reached by taxi in about 10 minutes.